With the world cup soon approaching, national airlines around the world are getting into the spirit and supporting their local teams. Here’s a recap of some of the special liveries over the past few weeks – how many have you seen? Let us know! Brussels Airlines went to town with their special FIFA Jet, with a special livery including ‘whooshing’ team football running along the fuselage, but it was the inside that was noticeably the cool element. The airline covered each of the bulkhead with football action artwork of the national team. 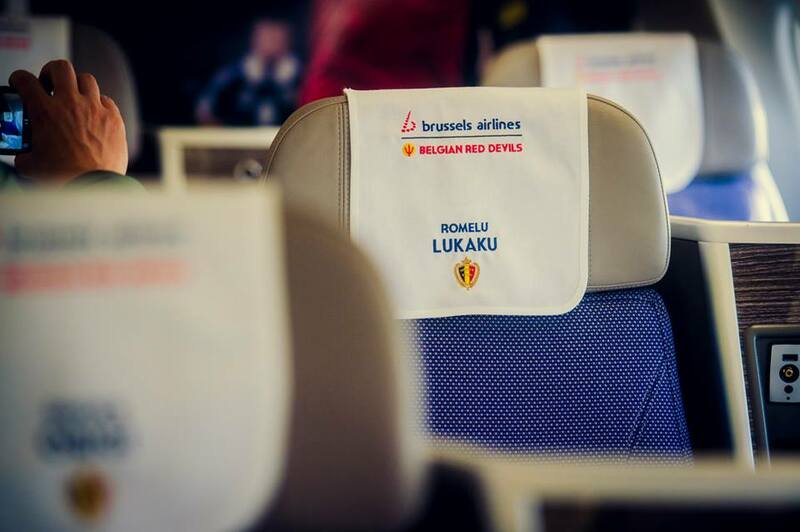 The #SN2014 hashtag was predominantly featured around the aircraft, and specially for the flight, the headrests featured the national team’s players names. In total, this was a total (yet temporary) transformation, and shows how with little details, an aircraft can be quickly transformed. 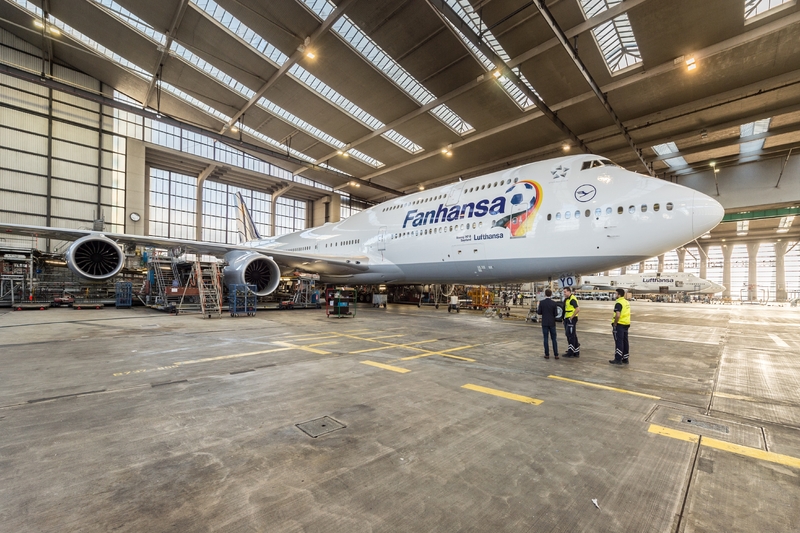 Lufthansa have decorated their “Queen of the Skies” 747-8 in an adapted livery titled ‘Fanhansa’ which is flying across their network to help promote the World Cup. The airline has also extended their football focus to include limited edition ‘World Cup’ business class amenity kits and also their famous rubber ducks found in their First Class Terminal have also had a bit of a football make-over. 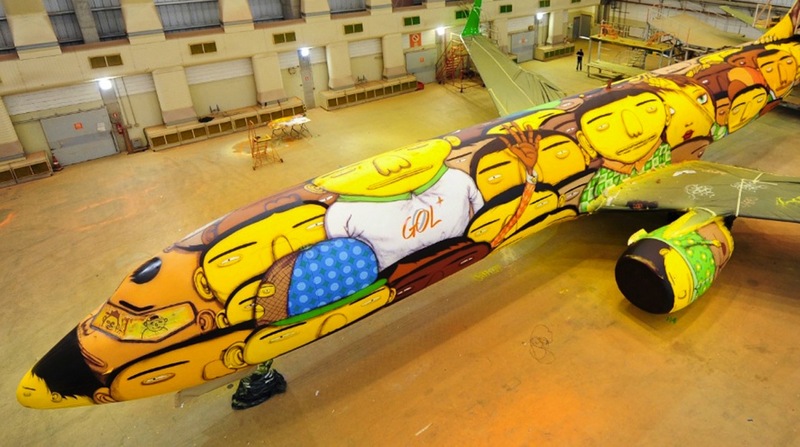 Designed by super-cool Brazilian based artists Os Gemeos, Gol’s special aircraft was spray painted with over 1,2000 cans of paint creating one of the largest and certainly highest graffiti artworks in the world. The 737 will be used by the Brazilian National Team during the 2014 FIFA World Cup. The wonderful paint scheme showcases a stadium-full selection of characters that are Iconic to the designers. When it was painted, the windows were painted over, including the cockpit, however obviously these were removed for its first flight. “Everyone has thought about walking on clouds.” says Otavio, one half of the art duo. “And this is only possible with a plane and faces painted on it.” Hmmm… well at least it’s a brilliant departure from the more corporate carriers. Have you noticed, how there is no GOL branding at all? The Iberia livery has been given a bit more to talk about than normal with this special football fan livery. The new livery, “LaRoja” like Gol, features a group of faces, these ones however, Spanish supporters, using a photographic montage. We hasten to say, without the faces, and a small ribbon of white separating the colours on the fuselage, the carrier actually has a much nicer livery concept. It seems that the reality and the artists impressions are slightly out of line though, with the seemingly finished livery lacking the continuation of the graphic along the length of the aircraft. 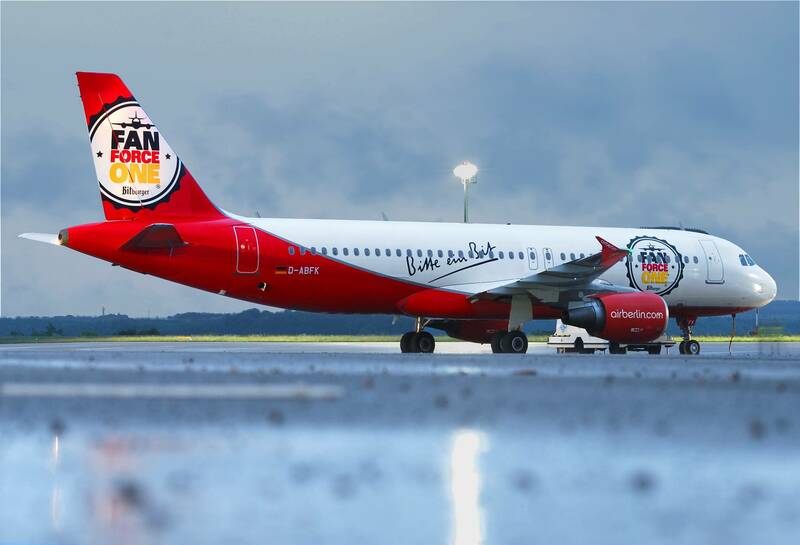 Air Berlin have run a competition based on their latest ‘Fan Force One’ jet, whereby spotters of the jet, in cooperation with their partner Bitburger, can win tickets to the FIFA world cup. The jet has a very simple design, making it still iconically Air Berlin. We do like the pun on Air Force One though. We weren’t the biggest fan of Aerolineas Argentinas livery, with its big blue swash, and top heavy appearance. However, with the variety of transfers applied to the aircraft, the balance has been restored, and with a multitude of photos, banners and graphics, it’s a full and varied aircraft. Carrying the Argentinian team, this 737-700 will be perhaps doing a lot of air miles as the FIFA World Cup progresses. More to come soon, keep checking back as we update the page! Does the GOL logo on the man with a white shirt count as GOL branding? Brussels Airlines has painted an A330-300 in the Red Devils colors already known from an A320; the aircraft is flying the Belgian team to Brazil. Also Emirates as main FIFA sponsor has added special colors, including a Pelé signature, to a 777-300ER. 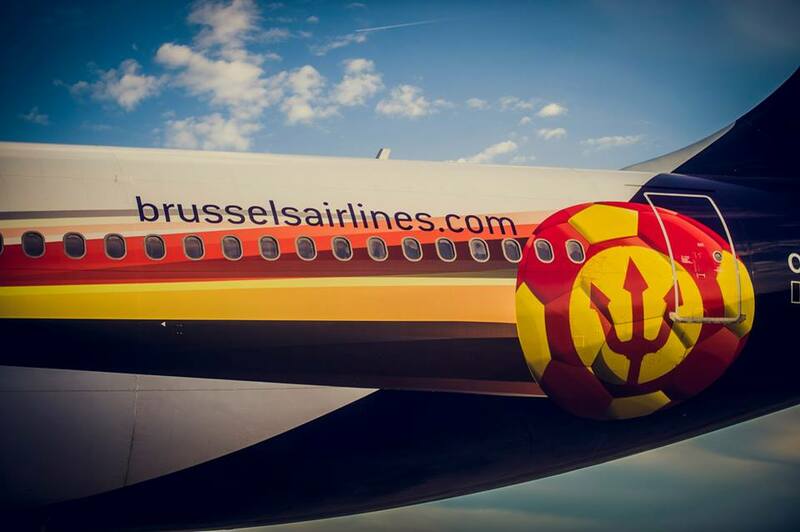 This article misses ‘The Belgian Red Devils’-livery of Brussels airlines. And the interior is very interesting.